Thank you for your interest in PocketITP! If you are using a PDA that was purchased in the last year or two please download the ARM binaries. Otherwise please check our table of common PocketPCs to figure out which microprocessor your device is using. As always, if you have any questions or comments please feel free to send them to me via email. Please note that PocketITP 1.1.1 does not have configuration support for the Canon WFT-E1. 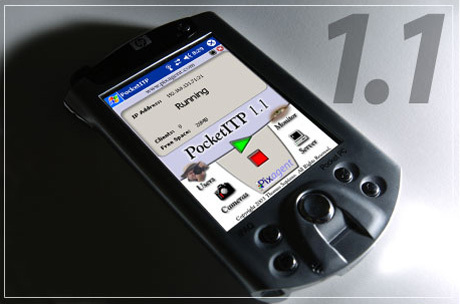 If you would like to use the Canon transmitter, please download PocketITP 1.2 Beta. There are currently no major changes to 1.2 outside of adding Canon support, so it is not necessary for existing Nikon users to upgrade at this point. Once you have downloaded PocketITP, it is recommended that you register with us to receive notifications of any updates. You will be asked to do this during the installation process, however you may also do so right now as well. If you have registered for previous versions, there is no need to do so again. PocketITP is offered as freeware and can be freely downloaded. Please see the licence agreement for more details.